Follow Lawrence Gunther, his guide dog “Moby”, and celebrity chefs as they catch fish and prepare amazing shore-side feasts! 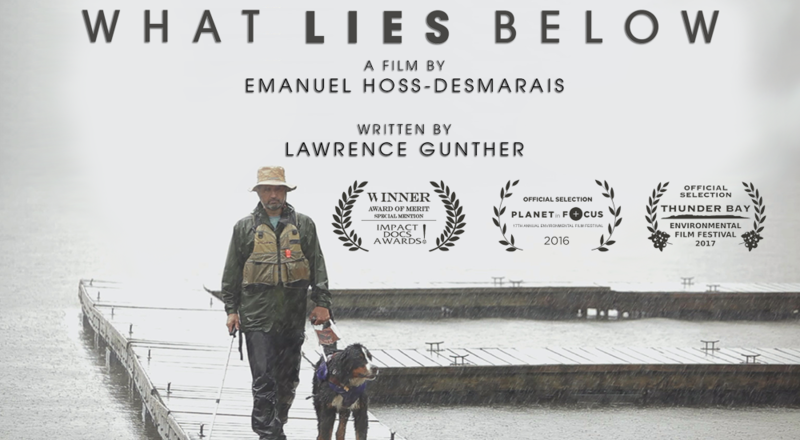 Building on Lawrence Gunther’s highly regarded and popular podcast, “Blue Fish Radio”, and his critically acclaimed documentary, What Lies Below”, is the new video series, “Lake2Plate”. As one of Canada’s top professional anglers and former commercial fisher, a respected voice in the field of conservation, and North America’s only totally blind film maker, Lawrence Gunther reveals the bounty that dwells out-of-sight beneath the surface of our rivers, lakes and oceans. Each guest chef is challenged to prepare a unique shore-side meal featuring the selectively and sustainably harvested fish, a surprise assortment of wild forage, and locally grown vegetables and regional beverages. Lake to Plate is a journey to reconnect with past traditions re-imagined in ways that ensure future generations can do the same.